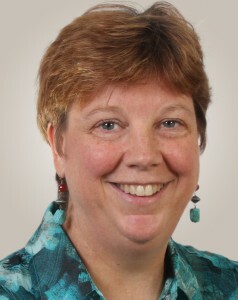 Terri Fiez, professor of electrical and computer engineering at Oregon State University, was selected as the 2016 winner of the IEEE Undergraduate Teaching Award “for innovative undergraduate engineering and computing curriculum development fostering student engagement and retention.” IEEE is the world’s largest professional technical association, and honors one individual each year for inspirational undergraduate teaching. Innovative teaching has long been a focus for Fiez who created the TekBots Platform for Learning and spearheaded the nation’s first online post-baccalaureate program in computer science. She received the 2006 IEEE Educational Activities Board Innovative Education Award, the 2006 OSU Student Learning and Success Teamwork Award, the 2014 OSU Vice Provost Award for Excellence: Innovation in Online Credit-based Teaching, and she was recognized by the students of the School of EECS at OSU as the OSU EECS Professor of the Year in 2014. Fiez and collaborators designed the TekBots Platform for Learning to bring experiential learning into the electrical and computer engineering curriculum. Students apply their classroom knowledge to create their own robot, and as they progress through the program they add more functions to their TekBot. The program has been widely adopted at other national and international educational institutions, resulting in more than 10,000 student experiences with TekBots to date. To serve the growing needs in industry for trained computer scientists, Fiez led the development of a bachelor’s degree program for post-baccalaureate students that could be delivered online. In June 2012, the program was launched by Oregon State’s Ecampus program. Today the program boasts over 1,000 students from all over the country and the world with backgrounds as diverse as journalism, anthropology, chemistry, music, and law. It has been cited as one of the top online computer science programs in the country by multiple sources including Best College Reviews. After 16 years at Oregon State, Fiez will assume the role of vice chancellor for research at University of Colorado Boulder in September of 2015.